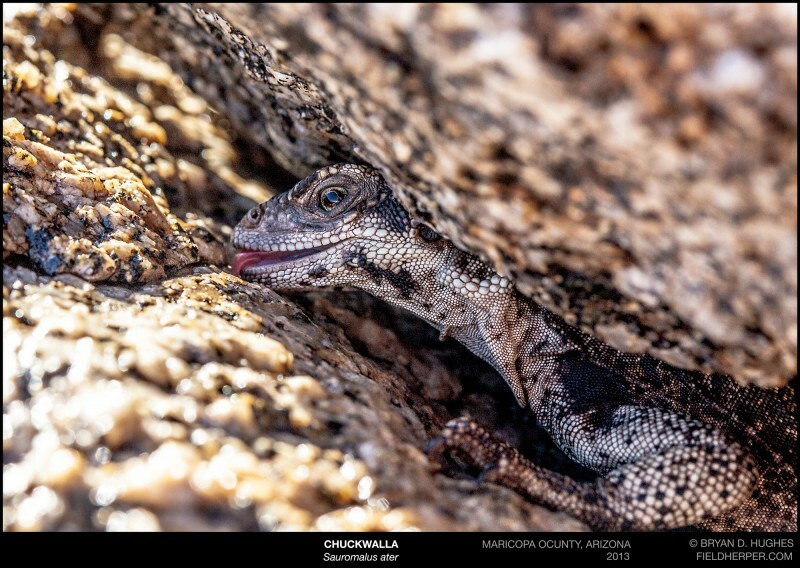 I was relocating a diamondback on a mountain in North Phoenix, and saw a skinny little female chuckwalla dart into a rock. On the way back, I though I’d offer her some water, and she was instantly fine with me being there. She drank from the rock, and eventually came out and right into my lap. This entry was posted on Tuesday, August 19th, 2014 at 8:16 am	and is filed under Behavior, Lizards, Relocation & Rescue. You can follow any responses to this entry through the RSS 2.0 feed. You can leave a response, or trackback from your own site.